Another 80’s fairytale/Fantasy movie has come dropped in to be review, and this isn’t the last. 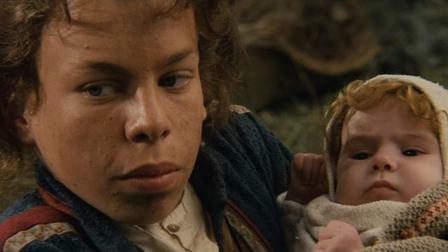 Willow is from 1988 and is a story written by George Lucas for Warwick Davis. It was directed by Ron Howard who oddly is the director of next week’s movie, Guess if you want. 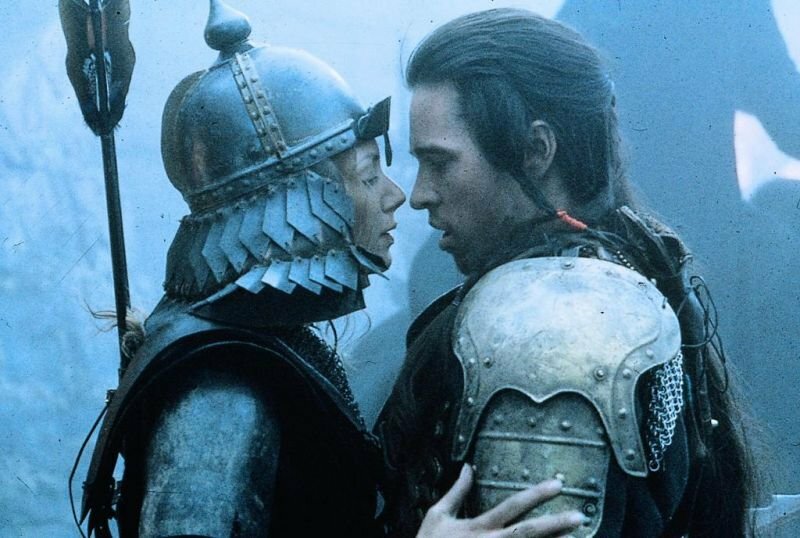 Willow was a movie I had vaguely heard of but knew nothing about. All I knew is that it was some 1980’s Fantasy movie. So how is it? 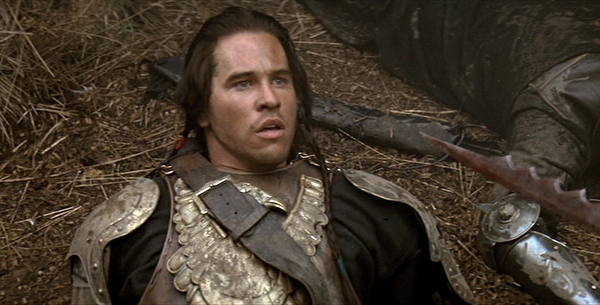 Like so many other Fantasy movies, this one starts off with one of those pesky prophecy. This is one is about a female child will bring the downfall of the evil Queen Bavmorda. The baby of prophecy who is later called Elora Danan is smuggled out and finds her way to the family of Willow Ufgood, who is farmer but wants to be a sorcerer. He is also a dwarf or a Nelwyn. Little Elora is being tracked so the people of Willow’s village decide to take her back to the humans or as this movie calls them The Daikini. Along the the way Willow meets a dishonored warrior who is less than noble named Madmartigan, a Fairy Queen with her two brownies to help out and a cursed old sorceress. 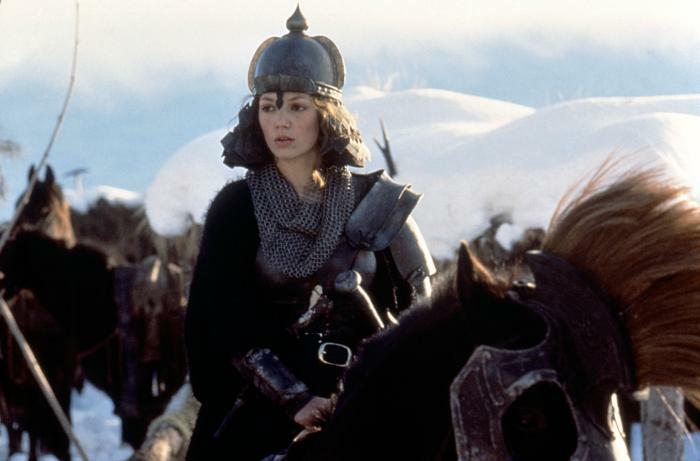 They also are being pursed by Sorsha, Bavmorda’s warrior daughter who ends up falling in love with Madmartigan. The plot of this movie is actually kind of complex with all the places they go and people they meet and just stuff. It actually is confusing even for 1980‘s movie standards. And yet it all wraps up pretty tidy with a nice little set up and pay off. All in all it’s not that different of plot line for a adventure story. It’s fun just not that out there or original. However one downfall with this movie is the pacing. It just feels longer than it should and slow in parts. Also when they go to places for seemingly no real payoff. The characters are all ok. No one stood out at all. I suppose they all had they moments of change like Willow deciding to care for little Elora when at first he wanted nothing to do with her, or Madmartigan being a douche and then caring for Willow and Elora and even Sorsha who came to love Madmartigan. But still aside for a few traits here and there, there was too much to the characters. Also some these names seems like swear words, like Madmartigan. The technicals are adequate. Some of the effects were better than others like pig morphing scene was ok but the Brownies being little or the two ended dragon were a little forced. But it was 1988 so it gets a pass. The sets and the costume were all fine. 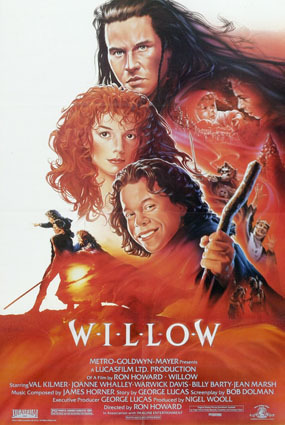 Willow is a fun Fantasy movie it’s not amazing but it’s not bad. It’s quite ok.